From Fez we made our way south through the Atlas Mountains and on to Merzouga (about 9—10 hours by car, split over 2 days) which is one of the main desert outposts in Morocco (the other being near Zagora, even further southeast). The drive down to Merzouga was interesting, with a varied contrasting landscape of mountains, desert, and oases with occasional kasbahs along the road. 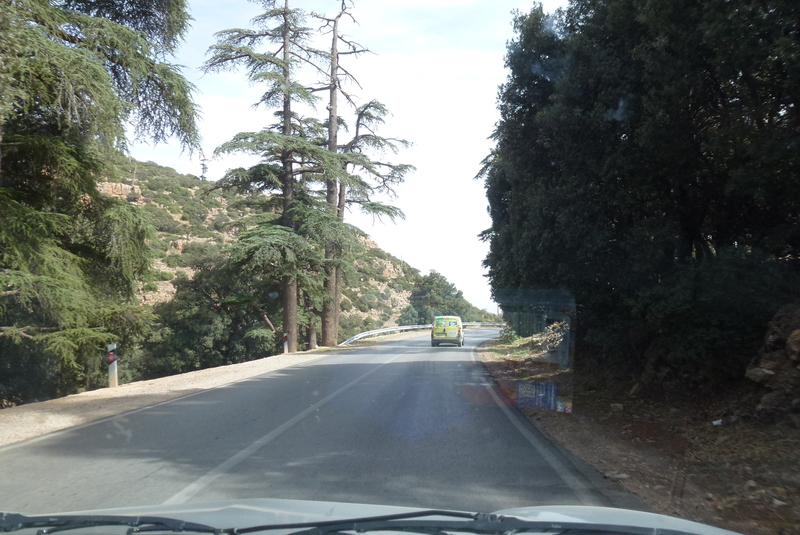 Driving through the forest in the Atlas Mountains. 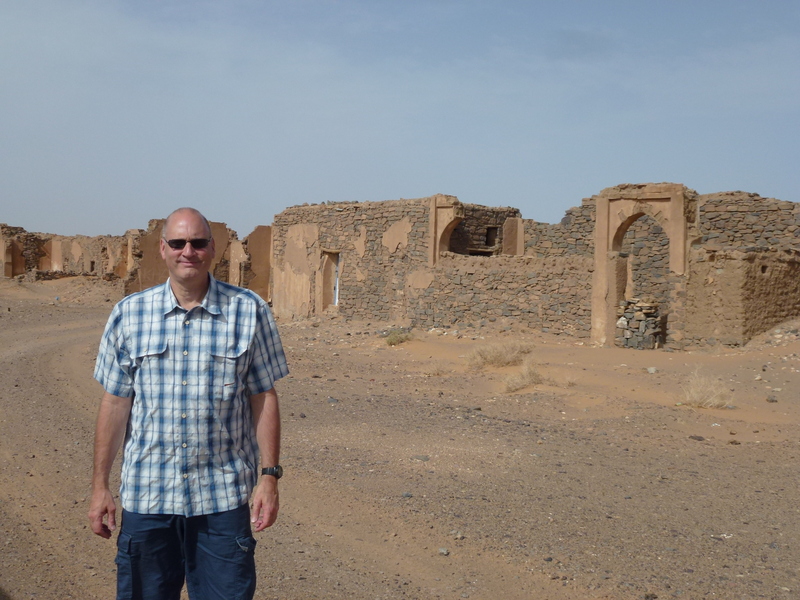 An abandoned kasbah on the way to Merzouga. 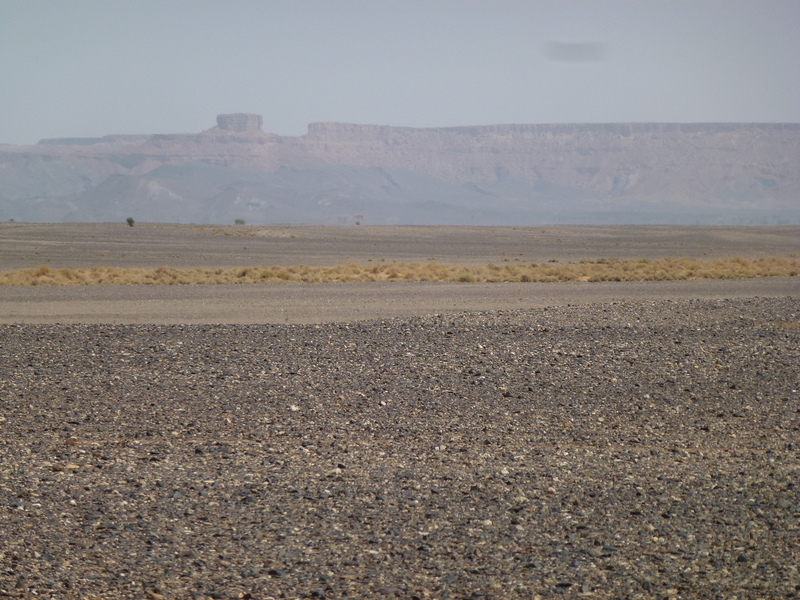 One of the many contrasts on the way to Merzouga – palmeries (oases) with the desert background. Right before reaching Merzouga the landscape turns pretty bleak. 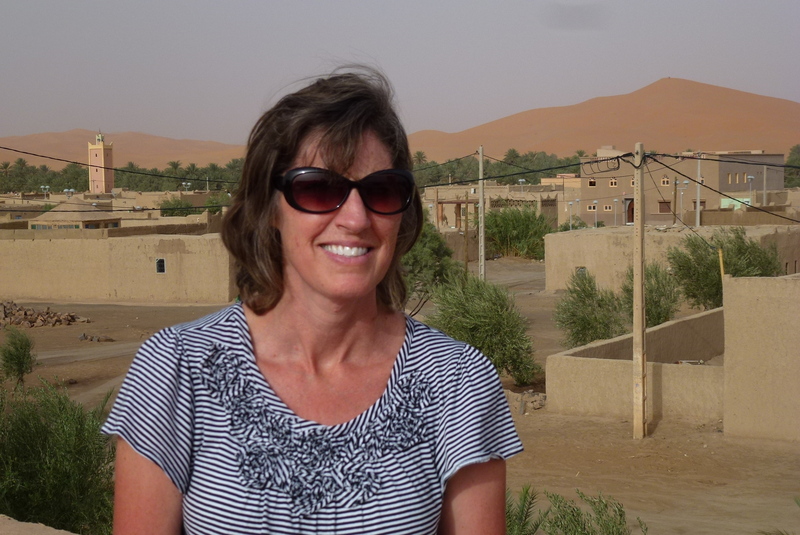 Merzouga is a small town with dirt roads. It has a few shops, but other than that, it’s pretty quiet out there, and you feel like you’re way out in the country. A view of Merzouga from the top of our hotel. Our guest house in Merzouga. 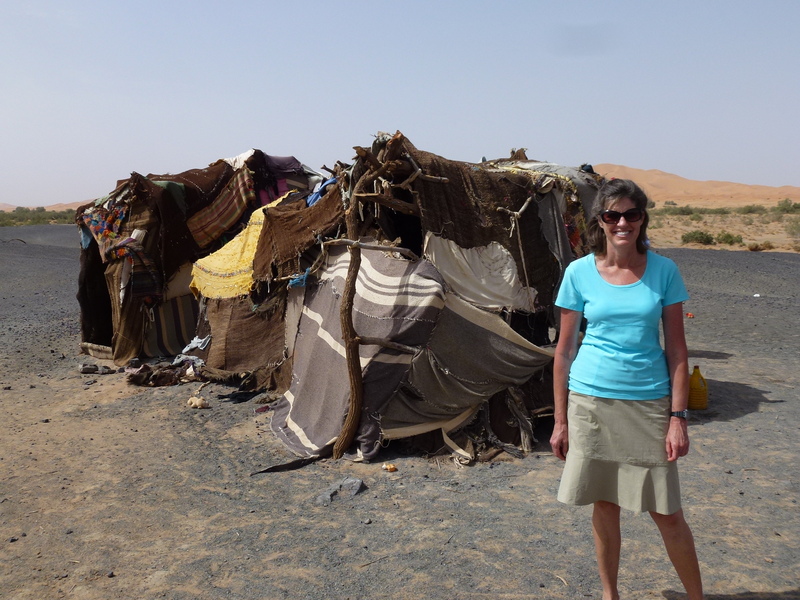 The owner helped us arrange a day tour and camel ride. 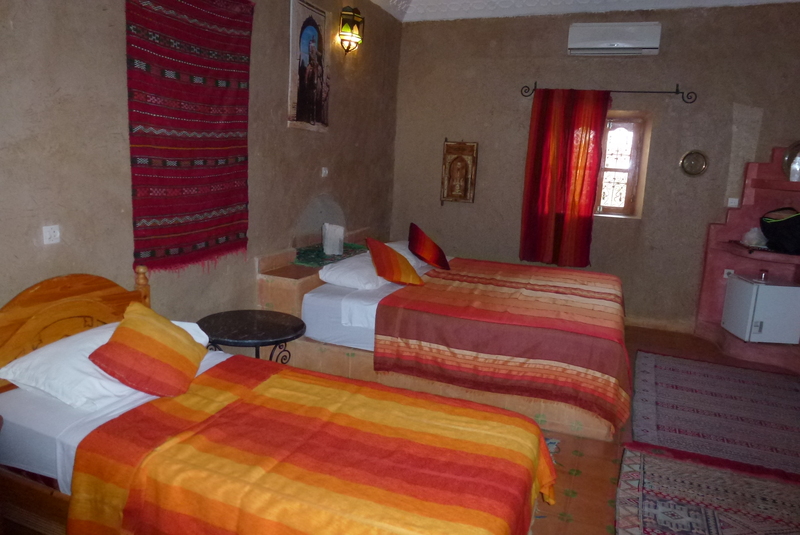 Our room in Merzouga – very comfortable, with adobe-type walls and tile floor. The pool at our hotel, which we enjoyed in the afternoons. 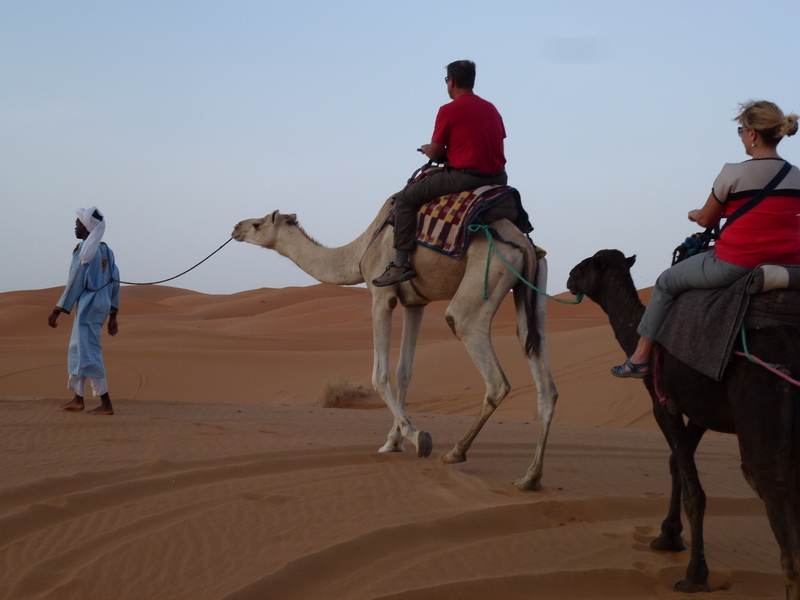 We spent two nights in Merzouga with a day in between on a desert tour followed by a camel ride in the evening. There were a handful of other tourists, but it was pretty quiet in this part of the country, at least in October. Our desert driver was great, and spoke pretty good English. Our driver with our wives. He was very helpful and provided a good overview of the area. 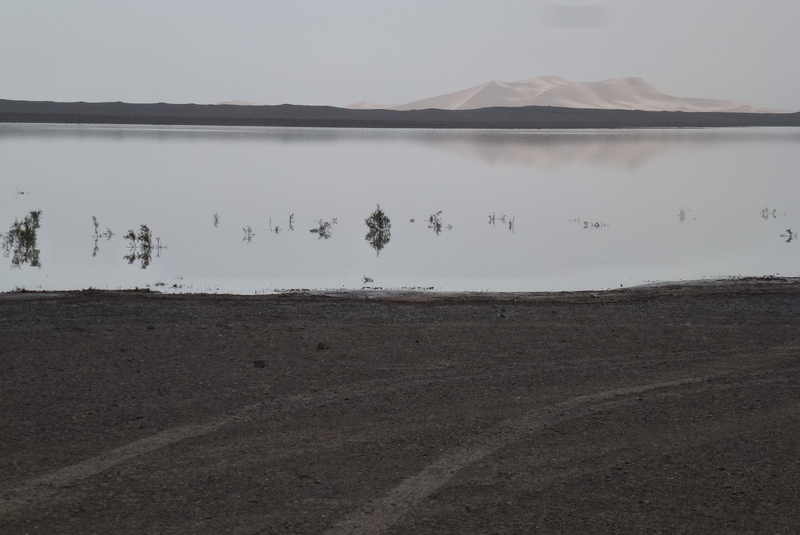 Not a mirage – an actual lake in the desert. They had some rain recently. It’s several feet deep. An abandoned mining community in the desert. 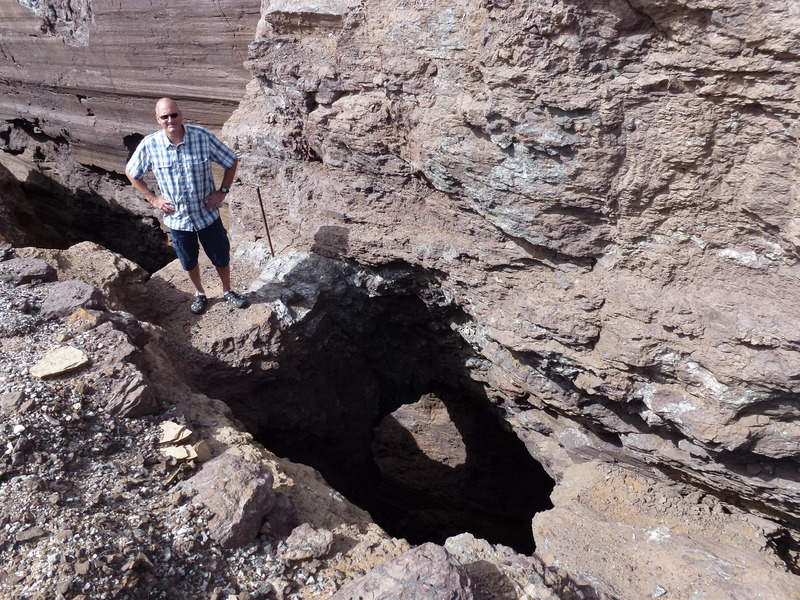 One of the desert mines – they mined quartz and lead. A berber camp in the desert. 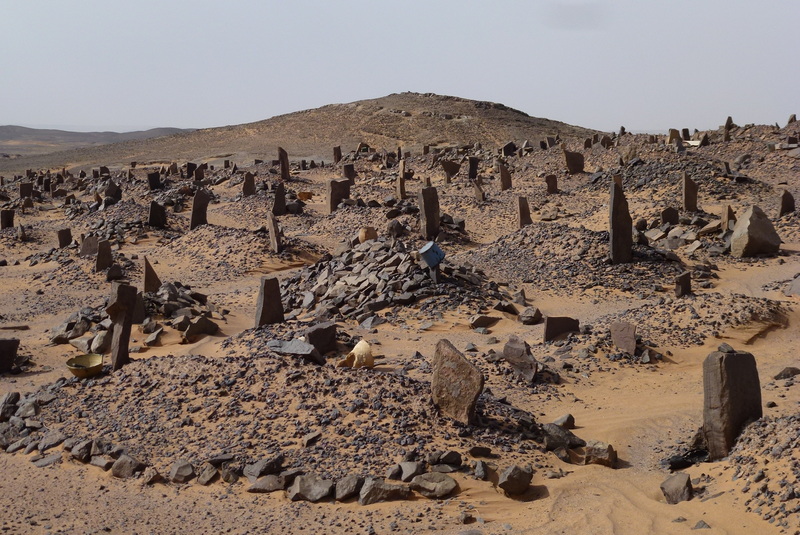 A berber grave yard. No names, but the gender is determined by the placement of the headstones. 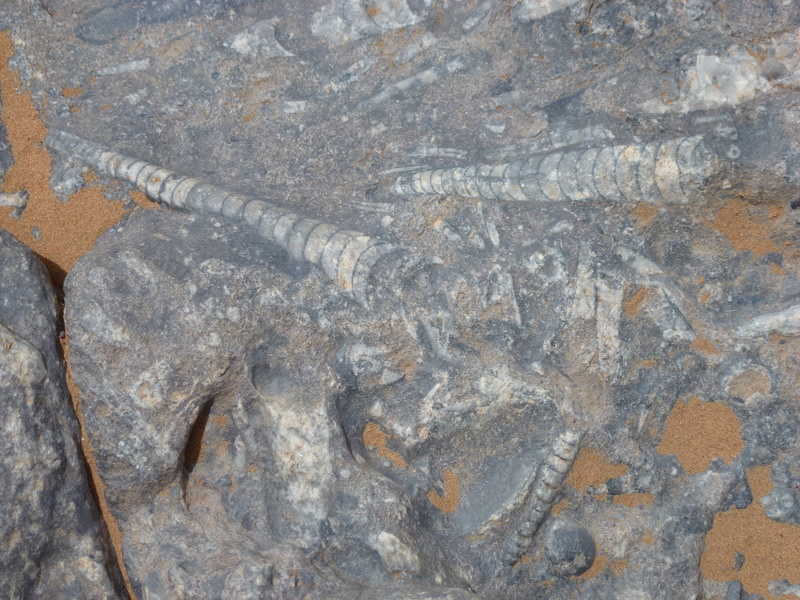 Ancient sea life fossils in the desert – they are found throughout Morocco. Obviously at one time most of this country was a sea bed. Children showing us their homemade dolls and other trinkets. A well. Surprisingly, the water table is pretty high – water is found just a few feet below the dunes! 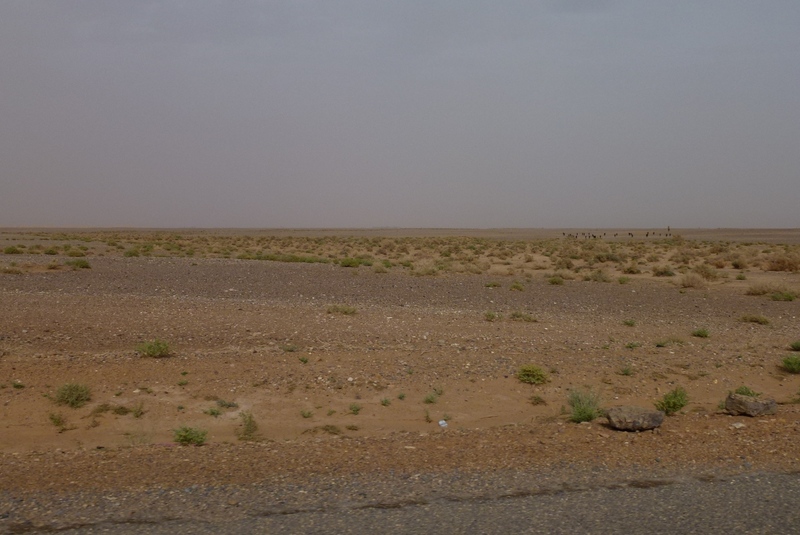 Merzouga is close to the Algerian border (only about 8 miles away). The Algerian border is the high ridge in the distance. As shown above, there is a lot more to see than just towering sand dunes (which are also cool). We got to see a variety of things, and it was a fun way to spend the day. Riding our camels into the dunes. 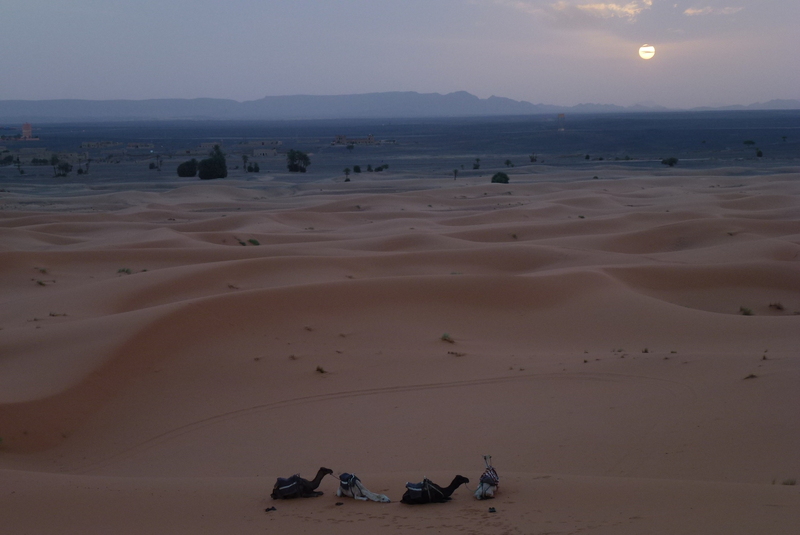 A view of the Erg Chebbi dunes at sunset. 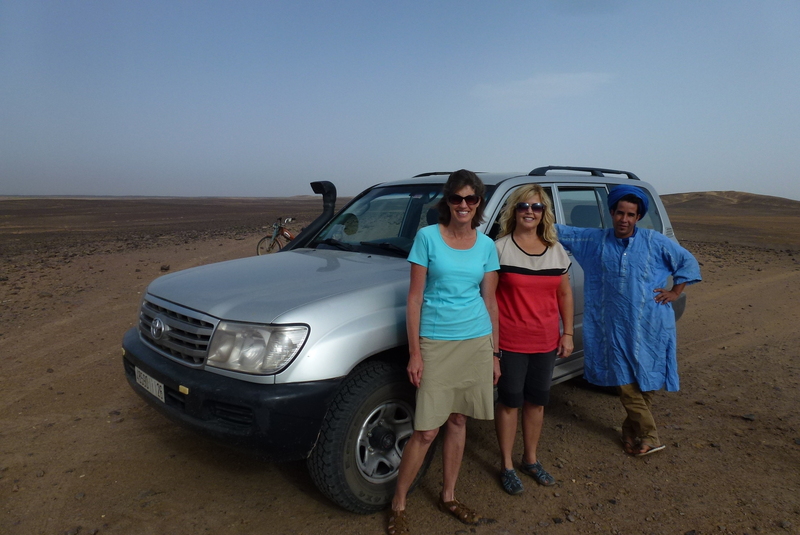 Don’t miss the desert experience when visiting Morocco! 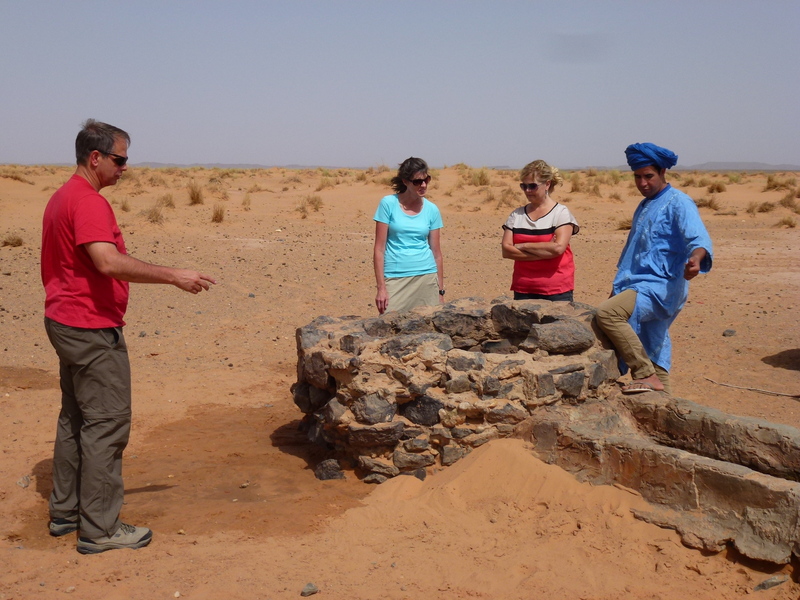 Posted in Morocco and tagged Merzouga Morocco, Things to do in Morocco, Visiting the Moroccan desert on October 27, 2015 by Paul Terry.